Follow @mcphoo Tweet THis post started life as a reply to someone having "horrible back pain". I'd seen three of these "what can i do about my low back pain" in one day. No kidding it's one of the biggest reasons that stop folks from working or working out. It is hell. The point of this post is to offer what may be an alternative perspective about back pain that says it mayn't be about the back; it may be about pain processes in the brain, and if we work with a model of pain, and of movement, even chronic stuff like the seemingly unsurmountable of low standing back pain can unwind. Let me further preface this by saying, in no way am i saying the pain is "all in one's head" or not real. It's real, alright. The shape of that reality, however, may be richer that we initially may think. Going Chronic This post is motivated by the fact that a lot of folks ask about low back pain issues after they've had them for awhile. 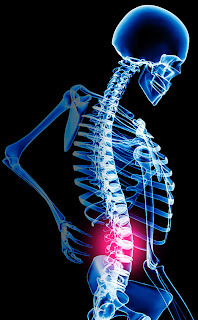 They've gone from acute - a sudden sharp pain brought on by a specific movement pretty predictably - to something chronic that can be a constant presence, as well as flaring up from time to time, but without a specific acute area that's sharp. It's a nasty thing that can, when flaring, debilitate a person. It is the proverbial monkey on the back, and it can make ya cry. I could go on and on. In such advice-seeking experiences, many folks recommend chiros, phyiscal therapists, massage, exercises for the low back muscles and so on. All these things can bring benefit. In my experience though, if that back pain has been going on for months/years we're talking chronic, manually therapy has a much harder time addressing this. In my own experience, muscle work like yoga and kettlebells has brought some relief - more so than manual therapies - but not eliminated the problem. The following offers some other ideas for dealing with low back pain - both at an early and definitely at an ongoing stage. The focus is really on models of pain as opposed to particular back issues. First of all some context: me: like most folks with low back stuff - compressed l4/l5, long history of chronic back stuff. Chiro, pt, acupuncture, orthotics, heel lifts. shots and surgery offered - na thanks. On the more physical approaches, as said, Yoga therapy worked a bit better than anything else; kettlebell swinging really helped but still chronic flare ups. Both these approaches were based on the theory that the muscles in the back are potentially weak or out of balance and needed to be rebuilt. As said, helped a lot but the chronic flare ups were not addressed; ROM still limited by pain etc. So rebuilding alone is not (at least for me) a complete answer. Like a few who've been dealing with low back pain for awhile, a lot of money has already been spent for treatments that would hold for only a short time getting off the table. likewise there are models of back pain that suggest it's related to promarily to an emotional state - like anger or job dissatisfaction. Treat the anger; get rid of the pain. I'd encourage folks who are interested in this to investigate further with work like John Sarno's Mind/Body connection, where back pain is seen as psychosomatic, and an example of "Tension myosititis syndrome"
aside. I'd note that the first key study, the Boeing Prospective Study, widely studied and critiqued, that first suggested that the only consistent correlation with back pain was job dissatisfaction was done with shop floor workers (people who spend a lot of time on their feet). When the study was re-run with people who work at desks and also have high incidence of back pain that specific correlation did not, alas hold (pdf). What did hold is that, as we know about pain now, context plays a not insignificant role in pain creation/management. Or as some put it, psychosocial AND biomechanical issues can promote causes. Work in what pain is, and how it works in the brain, however, shows that pain is toujours deja multi-factorial, and highly context dependent. BUT work in pain also shows that as it does manifest itself in very real neural adaptations. More on this below around "central wind up." During the six days of the Z-health R-phase certification, i had a couple sessions with Eric Cobb. He looked at not only movement (what Z-health is perhaps best known for) but vision and balance stuff as well. The experience was huge and transformative. Since then i and colleagues have worked with TONS of athletes with chronic low back issues and have been able to help them move through the chronic-icity. How does this approach succeed where so many have not? Z-health puts the nervous system first by focusing on proprioception, and visual and vestibular perceptions of the world. The approach of nervous system first (aka threat modulation) always seems to have immediate benefit. The main approach is to check a person's responses to movement, and also visual and vestibular cues. The approach is critically largely active on the part of the participant, likewise invoking motor learning in grooving pain free patterns. it is active rather than passive (about the differences between the two, with video): you are moving yourself rather than being manipulated, which fires of thousands more signals in the body to learn new patterns than manipulations so benefits stick. it works in large part on threat reduction: the latest work on pain says pain is an action signal. it means change something. finding the right thing to change is part of the assessment process. i've yet to work with anyone who hasn't had immediate and significant pain reduction (or elimination) and that only improves as they continue to do the work FOR THEMSELVES. low back: location of pain receptors for ANY pain event? Here's something else about low back stuff. Lots of folks have compressed disks or degenerated discs, or scoliosis and have NO pain - so, especially when the pain becomes chronic - is the site of pain the source of the pain? maybe not. Here's why: The back is a hugely important and highly stressed area of the body. An anthropologist colleague of mine swears it's an example of terrible/incomplete evolution. In some models of the body, the back like a big X - things cross from the right side on the lower body up to the left side of the upper body. So the low back again is a HUGE junction for LOTS of information. As pain goes up, ironically sometimes with repeated poking via movement during an acute stage (that wretched "train through pain" thing), the number of nociceptors (the nerves that detect noxious stimulus) go up; mechanorecpetors that signal movement/position go down or get shut down. Normally, when mechanoreceptive stimulation more or less outnumbers nociceptive stimulation, the pain signal is effectively drownd out. That effect, in other words, can get broken. AND what's worse is that there seems to be evidence that MORE nociceptive nerves sprout with increased immobility: the more we might reflexively try to protect our back by not moving it, the more we may be contributing to signaling that will continue to amp up any pain signal. What these changes amount to with chronic pain, or as pain goes chronic is sometimes refered to as neural chunking or central wind up (more here and here). In other words, at this point, any pain/stress signals from anywhere may just start to manifest in the low back - that's become our response zone. That doesn't mean the pain is not happening; just that the brain/nervous system is now routing pain signaling through that super sensitive place. and it has been super sensitized, and so it may well be amplifying what's happening, too. 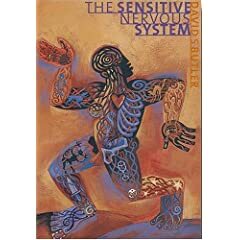 It's because of all this neuro-chemical soup (to use david butler's analogies from the Senstive Nervous System) happening that sometimes looking for issues in a back joint is not going to "unwind" the pain issue. So to all you folks who have tried everything and are frustrated and in low back hell? may i recommend considering an active/neurologically sensitive approach? In brief, this means in part, begin to move. But also check what else may be inhibiting good movement. As to the first part of that suggestion, if you'd like to see the research, Mike Nelson did a nice piece a year ago looking at the literature on why lumbar motion is such a good tonic for the back. This doesn't necessarily mean huge movements, but it does mean, it seems, working towards full range of motion work in the back - and of course muscular work can be hugely beneficial for a number of reasons here to support that mobility (controlled movement) - but without that specific attention to ROM - something back muscle work alone does not necessarily afford - the benefit mayn't be complete. Additionally, it may be critical to connect that proprioceptive signaling (nociceptors and mechanoreceptors that modulate signals that get interpretted as pain or not) with the rest of the perceptual systems: vestibular and visual. Speaking for myself, it was not until my mobility work got hooked up with what turned out to be visual rehab work that my back pain started unwinding. Not this is necessarily the case with everyone, but with me, once the visual work got going, the speed of the unwinding was profound. I mean super rapid, overnight kind of profound. Release. For anyone who's had low back pain, or has it now, you know what a prison it can feel like: will i ever be able to put my socks on without pain? pick something up from the ground without pain? drive or get in or out of a car without pain? sit and work without pain? bathe without pain? Speaking for myself, yes. Before working with this approach, i used to get pain-free moments when i'd bend over to pick something up, and there'd be no pain. Nothing. normal. It was like a miracle. The number of times this happened over a decade i could count on one hand. i remember once starting to cry because it felt so incredible and i knew it wasn't going to last, and i so wanted it to last. Perhaps some of you can relate to that? So, what all the above is speaking to is two things: getting a handle on what's happening with pain, and getting an approach to movement/nervous system communication that can start to rewire the very neurological and brain-based experience of pain. 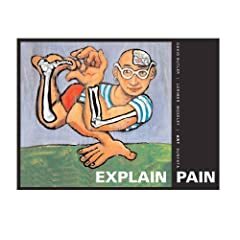 In the book Explain Pain, this is largely David Butler's advice: learn how pain works; learn how to move. To this i have only added what z-health refines a wee bit: movement is a great way to talk to the nervous system. Remember that visual and vestibular issues may also be contributors to pain, so find a way to check that and engage them in one's movement rehab practice. What is a movement rehab practice that will also check the visual and vestibular? Best approach: see a movement specialist for a Movement Assessment (what that is). In this list, preferably look for someone with either S or T certifications (or both), or a master trainer. Likewise, if someone's not close with the qualifications, i do video consults, too (use the email link on this post to request info). Secondary & Complementary approach: get a joint mobility program into your life. Moving each joint through a range of motion is an amazingly good way to talk to the nervous system. here's more on why and if you scroll down to "dig in" there's some recommended places of guided packages for that, eg the "level 1" kit. The best part is, really, when we have an better understanding of how pain works, and how the nervous system works in terms of proprioception, vision and the vestibular sysetms, there's a path to start unwinding that. AND YOU DO IT FOR YOURSELF so it sticks. The big take away seems to be that especially chronic low back pain is frequently not about the joints - pain is way more interesting and intriguing it seems than that, but it does make sense that the low back is where so much chronic pain gets filtered. Moving towards an active, neurologically centered approach, based on an understanding of pain, may well offer the breakthrough that you seek. This is near and dear and thank you very much for this post. I have a herniated disk at L4/5 and bulging on either side of that. Been through a bunch of PT and one epidural. With yoga and a lot of kettlebell work I can manage it, but management is the operative word; that dull little ache has become almost a friend. 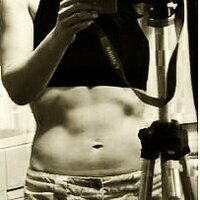 Started working with a Z-health person in October but have not focused on back issues, but we will. As for the proprioceptive side, that is intriguing and appreciate the references. thanks for dropping by, gents. dbt1959 - some friend, eh? Will be glad to hear of your progress with z.
chris, the thing that pain work really really shows now is that because pain takes place in the brain particularly, the social/psych context is going to be a player in getting one's head around it. I do like the motor learning approach and the visual/vestibular/proprioceptive to help accelerate the very real neurological unwinding too.